Agricultural greenhouse gas (GHG) mitigation is an important area of research for Canadian agriculture. Reductions in emissions intensity in agricultural production systems represent increases in productivity and efficiency, enhanced environmental performance, and addresses threats to the value chain from extreme weather risks to production. Addressing GHG mitigation also supports Canada’s efforts to help the agriculture sector adjust to climate change and better address water and soil conservation issues. Innovative solutions are required to reduce emissions from agriculture. New technologies are being developed to reduce emissions from livestock and crop production, including through the use of precision farming and “smart” fertilisers, which time the release of nutrient to match plant needs, and from feed innovations that reduce methane production in cattle. Collaboration through the Global Research Alliance (GRA) allows Canada to combine domestic priorities with expertise and resources in other countries to work toward common goals, allowing scientists to achieve results that would be impossible if working in isolation. Canada participates in the Global Research Alliance Council and is also engaged in the Croplands, Integrative, and Livestock Research Groups and relevant thematic Research Networks as a means to further its science and climate change priorities. is a major research contributor to the Livestock, Croplands, and Integrative Research Groups. Canada is represented in the Global Research Alliance through Agriculture and Agri-Food Canada’s Science and Technology Branch and supports the Global Research Alliance through participation in the research groups and networks listed below. Canada supports science activities related to agricultural greenhouse gas mitigation and adaptation co-benefits through its research programming. Methane emissions from livestock production systems make up a large part of Canada’s agricultural GHG emissions. Reduced emissions intensity from livestock production will require the development of new technologies and practices. 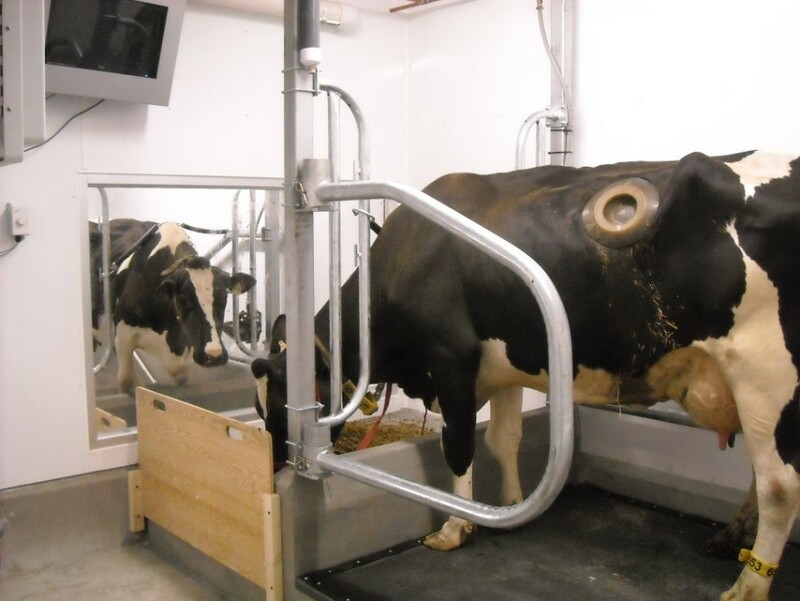 Canada has contributed rumen samples to the Rumen Microbial Genomics Network and contributed Canadian data from enteric methane mitigation studies to the global database measuring feed and nutrition effects on methane emissions. Canada has contributed Canadian data for the development and testing of the Managing Agricultural Greenhouse Gases Network (MAGGnet) international database, which compiles metadata from experimental sites throughout the world where greenhouse gas fluxes and soil carbon dynamics are monitored. Several Canadian long-term field sites are now included this database. Contributed toward developing measurement strategies for grassland soil organic carbon. 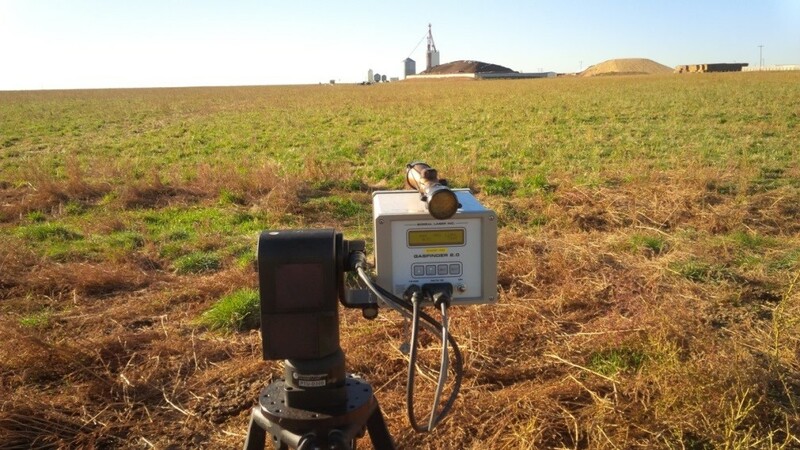 Above: Open-path laser used to calculation of GHG and ammonia emission/deposition from livestock at a whole-farm scale (lead researcher Dr. Sean McGinn). 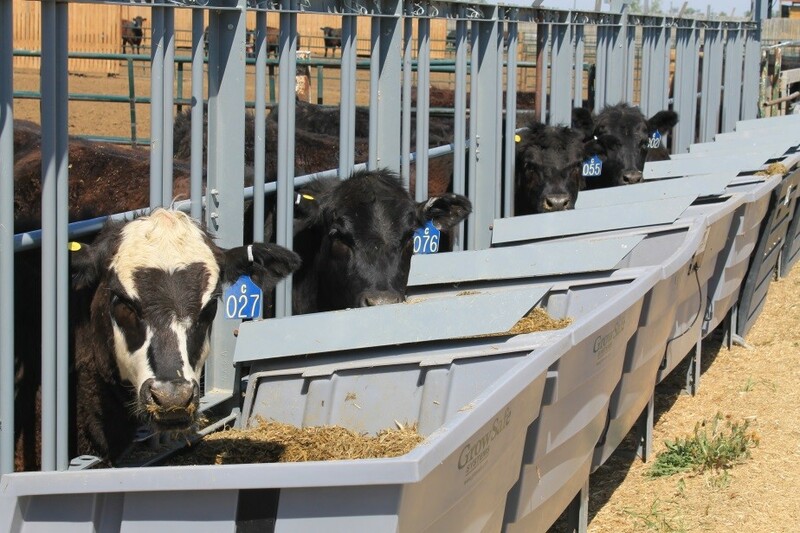 Livestock Systems: Manure management, as well as grazing and feeding strategies. Cropping Systems: Reducing GHG emissions and maximizing carbon sequestration from forage, pasture and rangeland. Agricultural Water Use Efficiency: Quantification of GHG emissions and enhancing carbon sequestration through improved irrigation and drainage practices. Agroforestry: Carbon sequestration and sustainable bio-energy production. AGGP was a federally funded program running from September 1, 2010 to August 31, 2015, which represented Canada’s initial contribution to the Global Research Alliance (GRA) on Agricultural Greenhouse Gases.